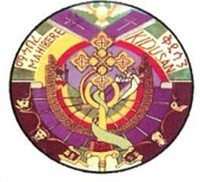 እግዚአብሔር አሐቲ ተዋሕዶ ሃይማኖታችንን ይጠብቅልን!!! 1) To threaten Mahibere Kidusan top leadership and divert the report of the MK mission deployed to Waldiba area towards the interest of EPRDF. 2) To implement the unwritten law of EPRDF " No independent organized body of any kind " in the country. 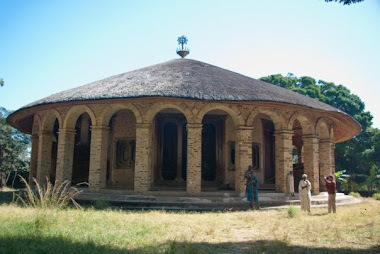 As to me if MK is going to be made political tool of EPRDF and of no use to the church, I suggest it better not exist. The darkest part of the night is the one just before dawn. Let God make it that way for our country and our religion. Let God give us the strength to continue with our good deeds even during times of tests and sufferings. "Esme Be'Entiahu yiketilune kulo amire, wekone keme abag'e zeyiteb'u, nikah Egzio lemint tinewim." Even though we have not yet passed through a tiny fraction of the sufferings that our fathers have, we need to pray a lot so that God shows His presence for those showing contempt to our faith. MK has to make its at most effort to ‘ force the prime minster reconsider its statement and publicise otherwise the issue must be take to court to compel him avert his baseless accusation. i don't agree to post here that Dn.danei talked about Mk.This is not the making a peace between Mk and our beloved brother dani. It's a sorrow. Where r we heading as a country? I believe our PM made a huge mistake. And Dn Daniel Kibret should never be mentioned here in zis article. Coz he is working for z church and if he made mistake he had publicly asked for pardon. If u didnt accept it, that is ur problem. Anyway MK is under huge pressure. MK is not and will never be a terrorist group!!! It will be Ato Meles, z only leader to label anti-terrorists as terrorist. He is shameless & will be till he dies! But we all ethiopians r suffering from his evil mind products. Don expect him to apologize, Meles has never been polite. Pray to z Almighty God, z solution for this is from heaven not from flesh and bone. I think this person in particular is a terrorist. I mean the writter. What in the world would he/she need to mention Dn. Daniel Kibret's name???!!! Isnt it a dead deal. Poeple please teach us love. Forgive and move on. There's Meles Zenawi to worry about. "Ahiyawun Tito dawlawin"
ወይስ ዲ/ን ዳንኤል ክብረት ስውር የማኅበረ ቅዱሳን አመራር ያላቸው? Tsehafiw yih min lemalet new , betam tiyake silecharebign bitabiraraw !!!!!! Dn. Daniel kibhret ye MKn siwr ???????? it may be to divert the waldiba monastery report, but be faithful and loyal to truth all things will pass. rather than corrupt the fact it is better the life of mk to be end. ምን ማለት እንደሆነ እኮ ይገባናል? First of all I would like to thank that you post this article timely on important moment. 1. To my view this article did not issue after review and approved by the higher hierarchic of the legislative body (MK yesira amerar)may be due to short of time, and I believe that the below mistakes are due to this problem. 2. This article again make the same mistake as the PM does, to blame Selefia first he should start from EOTC and its affiliates, this is always what PM and his political party EPRDF do, they always start blaming from the blue EOTC and give any wrong doing of the past to the church. Here also this article to get some ground or support he added Dn. Daniel from no where. 3. Why the need to talk about our brothers Islam peoples, if there is wrong the government is the one to take responsibility for what keeping silent and doing nothing before when those individuals making some links with middle east institute or individuals. As in previous time and now they will be brother of us nothing should not be changed, despite peoples from the ruling party and from opposition and some individuals try to put some classification among us (Ethiopian Christians and Islam). 5. At the first part of the article it seemed that the article is from the committee as it describes with First person plural but at the end it addresses to the committee. I would like to address to MK to issue the stand of the Church and to demand further clarification from the government, whether it will happen or not. But above all Prayer will make us most powerful and will guide us the right way and discussing with fathers shall be the priority. God may be with us!!! ከወጣትነታቸው ደም መጠጣት የለመዱት የኛዎቹ ቄሳሮች ደግሞ አሁን በዲዮቅልጥያኖስ የገባው ሰይጣን ገባባቸው መሰለኝ አንድ ጊዜ መካነ መቃብር ማረስ፣ ሌላ ጊዜ ገዳም መቀማት፣ ሲብስም "አንድ ጌታ፣ አንዲት ጥምቀት፣ አንዲት ሐይማኖት፣" የሚለውን ጥቅስ ስሕተት እንደሆነ መዘብዘብ . . . ወዘተ ጀምረዋል። ምን ቀረ. . . አንገት መቅላቱማ ድሮ በአርባ ጉጉ ተደርጓል!!! እግዚአብሔር ልቡናውን ይስጣቸው እንጅ ምን እንላለን!!!! እነዚህ ካለ ማህበር በህቡዕ ስለሚንቀሳቀሱ ነው? actually this group which called ማኅበረ ቅዱሳን ... is worst than alQaida their objectives are to eliminate Ethiopian Muslims , always barking about one country one religion , Ethiopia ye christian desate ... so PM Meles Z describe about the current situation well .. we should fight those groups from both side otherwise we will end up like Nigerian kind of mess . It is always a mystery why the MK considers itself as doing no mistakes. rather than barking here and there it would be wise to think why the PM would say such accusations and improve all the malpractices in the association. I don't think the PM said such statement out of nowhere. Even if i believe that the association as a hole is not Extremist but i suspect that some would be involved in such activities. Hence, you guys stop your scape gloating and cleanup your house. እግዚአብሄር አምላካችን ቤተ ክርስትያናችን ይጠብቅልን!! ህዝበ ክርስትያንን ከምላሳቸው መርዝ ከሚረጩ ተኩላዎች የጠብቀን!! !